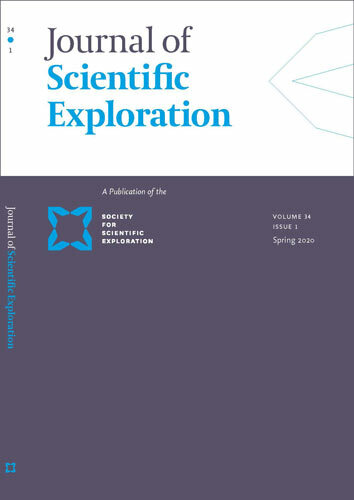 The quarterly peer-reviewed journal, published by the SSE since 1987. The JSE is the quarterly, peer-reviewed journal of the SSE. Since 1987, the JSE has published original research on topics of interest that cover a wide spectrum, ranging from apparent anomalies in well-established disciplines to rogue phenomena that seem to belong to no established discipline, as well as philosophical issues about the connections among disciplines. The journal also contains book reviews, letters to the editor, and peer correspondence. Printed options are available to members. Submit an article here. Sign up for JSE Content Alerts to receive email notifications of new JSE material!